Within minutes of uploading your file, check your inbox for the Upload Confirmation email. This email confirms that your file has been correctly received for NCOA processing. To login, click on the green Member File Area button at the upper-right of any page. Enter your UserID and password and click 'Login' or hit enter on your keyboard. This will take you to your Member File Area. While the file is uploading, a progress indicator will show automatically. Once file upload has completed, your filename will be displayed with 'Uploaded' preceeding your filename. Upon successful file upload, a confirmation email is sent to your designated email address. Note: Direct FTP is also available. Contact Support for further information. Once your NCOA file is done processing, a File Completion Notification email will be sent to the person(s) designated within your company. The notification includes your original file name, the NCOA return file name, total number of records processed, filesize, process date, and the NCOAsource JobID number (which is also the job's billing reference #). Log in to the Member File Area, click My Return Files, and click 'Download' next to the file you want to retrieve. The download file dialog box will now open, allowing you to save the NCOA file to your local drive. Additionally, you will receive an emailed NCOA Usage Report, which provides stats-at-a-glance for your job, CASS report, as well as the total run charge. 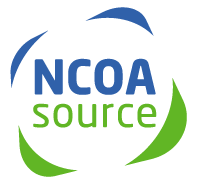 The Usage Report is your receipt for your NCOA processing. Tab-delimited, Fixed-width, etc. We accommodate it. Simple:A belief in wholesale rates for everyone. We work hard to make our users happy. And pricing is an important part of this. We're known as one of the most affordable NCOA providers because we treat our users as we like to be treated. Fundamentally, this means maintaining the lowest price possible instead of the highest price possible. It really is that simple. So no matter if you're a single-time user with a small list, or daily user with large volume, you'll find the same great wholesale pricing available to everyone. And there are never, ever, extra charges.